So, it's October! 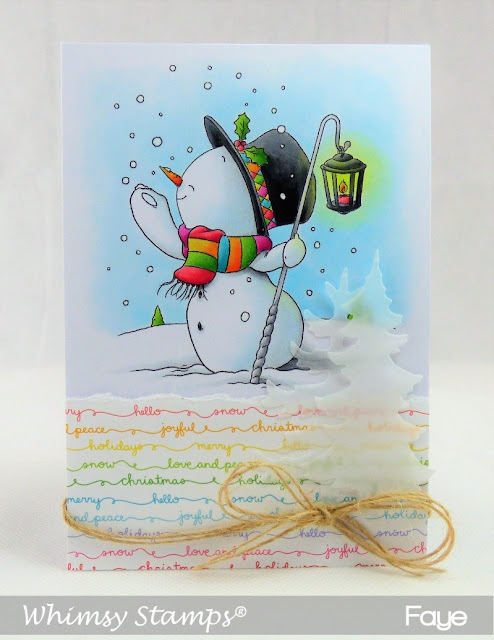 That means it's time for a new release from Whimsy Stamps. This cutie is Snowman Joy. I just love his scarf, it looks so cozy! UK Peeps, you will be able to get this release from Dies to Die For. I used this image for a quick tutorial on colouring a basic glow over at Copic marker Europe. Nice stamp image. Nice coloring!-Maria Giselle B.
Oh, what a sweet little fairy, Faye! Loving the CAS design.